With Dragon Age: Inquisition just over a month away, now might be a good time to dip into the game that kicked off the series, BioWare’s fantastic Dragon Age: Origins. We recently added it to our 20 best RPGs on PC list for good reason. Conveniently, it’s currently On the House over at Origin. 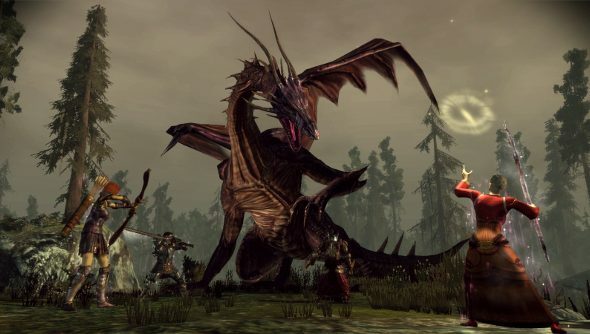 Dragon Age: Origins, completely free. If you don’t already have it in your library, you’d be completely barmy not to pick it up. The free version is the standard edition, not the Digital Deluxe or Ultimate Editions. I do recommend picking up the expansion, Dragon Age: Origins – Awakening as well. It’s less than a tenner, and a cracking extra chapter. It’s meaty too, a proper expansion rather than a slice of DLC. Dragon Age: Origins will be part of EA’s On the House deal until October 14th, so don’t faff around.